The Worst Election Ever is Over! The votes have been counted, all precincts are reporting, and the results are in. 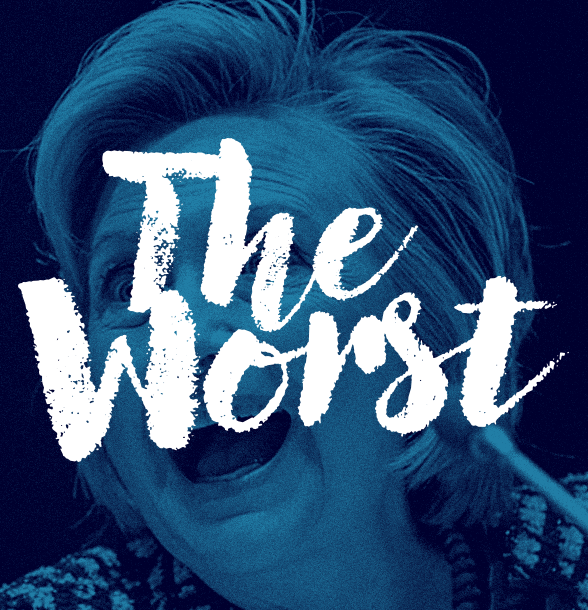 We the people have voted Hillary Clinton as the worst candidate in this train wreck of an election. Now that it's all over we can finally breath a collective sigh of relief and work to make the best of the outcome. Even though the major media and all the pollsters missed the mark with their predictions our unorthodox method appears capable of predicting the outcome of elections with 100% certainty. That's something to rest your hat on. We sincerely hope that you enjoyed our little diversion from an otherwise divisive election and wish the people of America the best of luck and success in the coming years. Hopefully the political class will put up some good candidates and we won't be back for the mid-term elections.